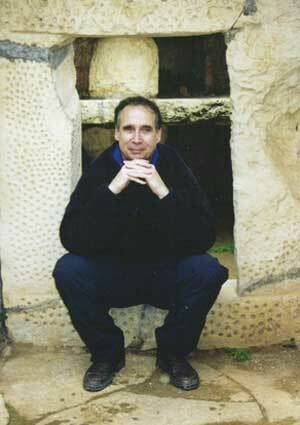 Tom Kenyon is known as a sound healer. As the founder of Acoustic Brain Research Institute, he is concerned with the science of sound effects and music on the human consciousness. Blessed with a voice that covers more than four octaves, he is able to create healing songs, chants, mantras, and more. What you hear is much more than sound. It is a spiritual vibration, an energetic sensation and perception. Only yourself. Invite yourself to an unprecedented energy experience with Tom Kenyon. These are sound codes for ascension. The fragile openness of the heart and the piercing awareness of authentic truth are stinging in this album of Tom Kenyon's own songs. World-renowned sound healer and founder of Acoustic brain Research, Tom Kenyon turns his four-octave-range voice into this exquisite collection of world chants. For when it hurts. For when your heart is breaking. For when the pain of the world is too much to bear. For when you need comfort and consolation. A component of the Acoustic Brain Research Series focusing on Relaxation and Stress Management. Tom's catalytic sounds are profoundly transformational and mind-altering. No keyboards. No electronic sounds. No backup singers. No choir. Tom Kenyon is a choir. One cut on this new CD has 44 tracks, every one another layer of his almost four-octave voice—perhaps the largest range of any male voice in the world. His remarkable ability to hear layers of harmony and sing them in perfect pitch is astounding and masterfully exercised in Voices From Other Worlds.